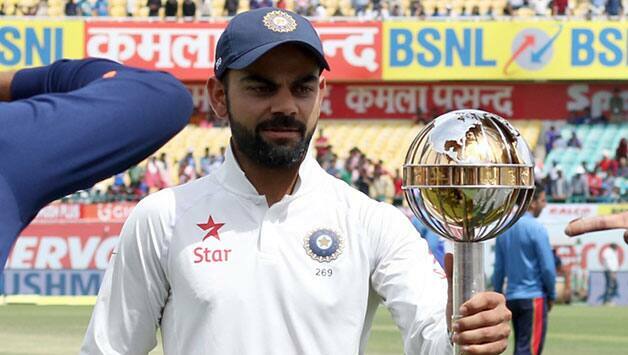 ViratKohli has declared that the friendship with the Australians is over after their heated series. The star player said while they are friends when the teams enter the area of battle all friendships end. Kohli struggled to hit maximum impact before he withdrew in the final Test due to injury only for him to return strongly in his onslaught against the Aussies. He says he is friends with the opponents off the field but added that the ill-tempered four-match series could change things. “I’m really good friends with all these guys off the field. I know them really well, but I know where to draw the line of friendship. When you step onto the field, I could be playing against my big brother it wouldn’t matter,” he said ahead of the Pune Test. Kohli and fellow captain had it bad when Steve Smith breached the rule of looking towards the dressing room for tips before the DRS review. Kohli accused the Australian team of systematic impropriety, citing other times as well, in their review protocols. There were a lot of accusations during the Tests. Kohli claimed the Australians had soiled the reputation of the physiotherapist that treated him when he injured his shoulder. The commentators from the Asian side claimed Gleen Maxwell was mocking them by clutching his right shoulder and Kohli repeated the gesture during the game. After the game, Smith apologized for letting his “emotions falter a little bit throughout the series.” Kohli is in no mood to forgive, even hitting out at the media for their criticism of his batting. He said that his bad experiences during the course of the series have made him rethink his friendships. “No, it has changed. I thought that was the case, but it has changed for sure,” he said in response to questions if things remained cases of friendly rivalry. “I thought that was the case, but it has changed for sure. As I said, in the heat of the battle you want to be competitive but I’ve been proven wrong. The thing I said before the first Test, that has certainly changed and you won’t hear me say that ever again,” he added.